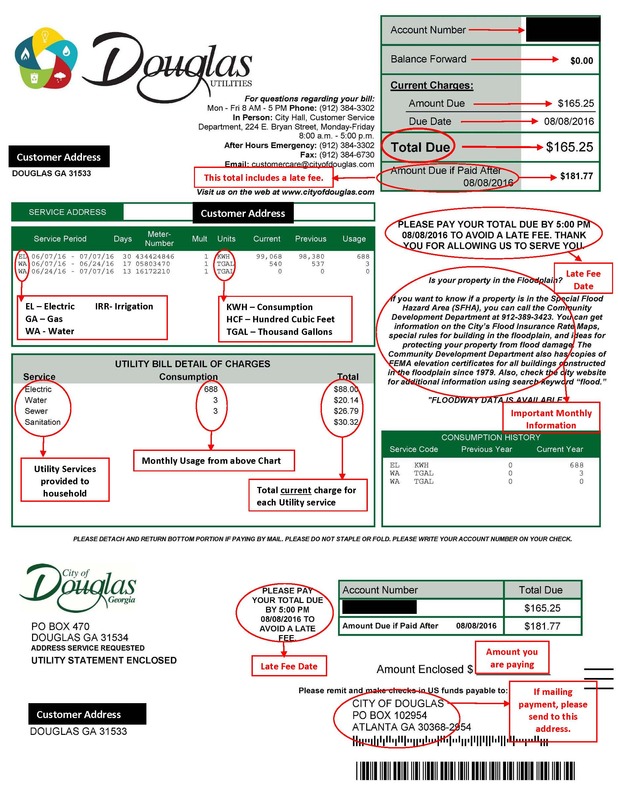 The Utility Billing and Payments Department is responsible for the billing and collection of four utility services: electric, gas, water, and sewer. Municipal Services Brochure - For a full listing of services provided by the City of Douglas, please select City Services for our online A-Z Resource Guide. For more information, call 912-384-3302! The Douglas Utilities Department offers Utility Programs for Douglas Utility customers who are ages 65 and older. The two programs are a monthly $10.00 Senior Discount and the Weatherization Grant-Loan Program. Electric service is turned on for the utility account with the Douglas Utility Department. Senior must be age 65 or older. The account must be a residential account. The applicant must be the owner of the utility account with full privileges on the account. After enrolling in the program, every 2 years on Feb. 1st, the senior must re-apply and follow all the steps above to continue to be eligible with one exception (Exception - if the senior citizen is placed in an assisted living facility or at another location for personal care and no one is living at the utility service location, if the City is notified and services are left on, the discount will continue). Should the account holder fail to comply, discount will be stopped until the proper steps are taken by the account holder as described above. The reinstated discount will not be retroactive but resume again with the next billing cycle. Should the City be informed or discover that any account holder receiving the Senior Discount is deceased or no longer resides at the location of the utilities, the discount will be discontinued. 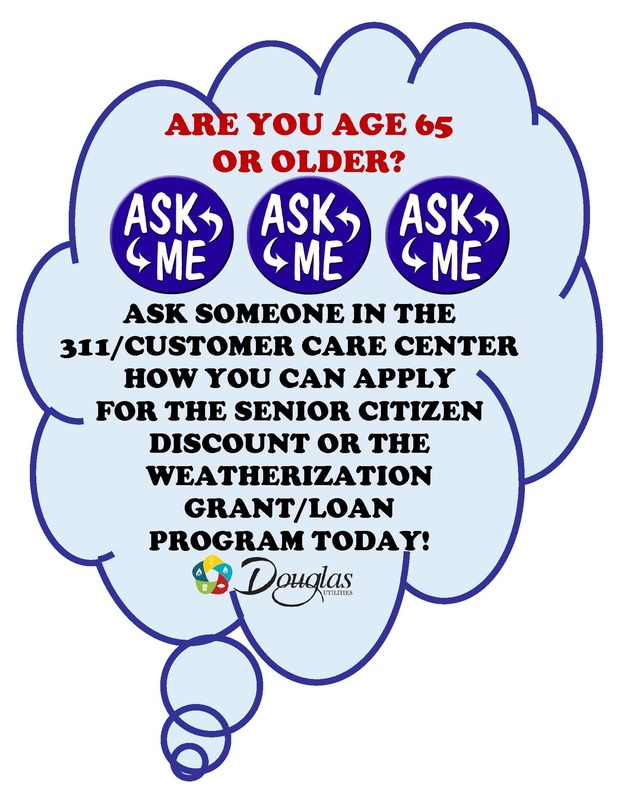 For full requirements or to activate the Senior Citizen Discount option, please contact the Customer Care Department at the City of Douglas or by dialing 3-1-1or 912-384-3302. Another option available to Senior Citizens is the Weatherization Grant – Loan Program. Qualified City residents with limited weatherization improvements to their home, may apply for the Weatherization Grant-Loan program. Some of the Requirements for this option are as follows; the Senior must be 65 or older (driver’s license or picture ID required showing date of birth, account must have active electric residential service with the City; must be a resident of the City of Douglas and a U.S. citizen, must be the Utility Account Holder or listed on the utility account, must meet current HUD low/moderate income limits, must provide proof of home ownership, must occupy structure as primary residence, must provide proof that property taxes are current, must be current on utility account and applicant must not be a participant of the Douglas Utility Payment Plan, must provide income verification. Manufactured homes are eligible providing they are permanently affixed. Rental property is NOT eligible. An energy audit will be performed on each housing unit to determine needed improvements by a qualified City staff person. The maximum amount eligible per household is $5,000 including labor costs. The applicant will be required to pay fifty (50) percent of the total amount improvements on their monthly utility bill up to a 60 month time period. However, due to limited funds, approximately thirty (30) applications will be received and processed on a first come, first serve basis. 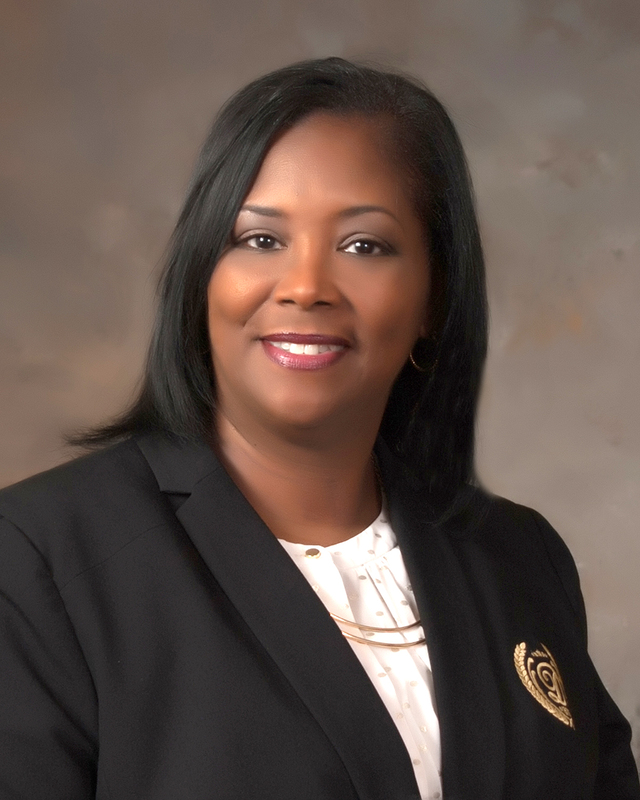 For a full list of all policies and procedures concerning the Weatherization Grant-Loan Program, please contact the Community Development Department at 912-389-3432. View Utility Customer Service Department's staff directory. When is my meter read, and when is my bill due? Can I change when my meters are read or when my bill is due?